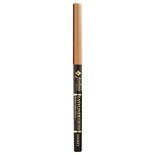 Shop Jordana Easyliner Retractable Eyeliner Jet Black (.01 oz. ).01 oz. 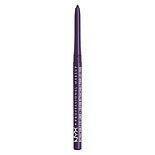 Shop NYX Professional Makeup Retractable Eye Liner Deep Purple (.01 oz. ).01 oz. Shop Jordana Easyliner for Eyes Retractable Pencil Brown Suede (.01 oz. ).01 oz. 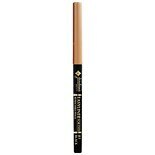 Shop Jordana Easyliner for Eyes Retractable Pencil Smokey (.01 oz. ).01 oz. 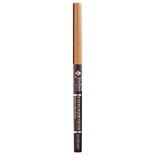 Shop Jordana Easyliner For Eyes Retractable Pencil Eggplant (.01 oz. ).01 oz. Define your eyes with a [retractable eyeliner] for a precise outline and finished look. Go for a fine or bold line, use a traditional eyeliner color or be dramatic with a bright color such as purple, blue or green. 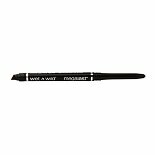 You'll find a great selection of retractable eyeliner colors and trusted cosmetic brands here at Walgreens.com. When you're selecting an eyeliner, take into account whether you need a smudgeproof formula or one that is for sensitive eyes, contact lens wearers, or is hypoallergenic. Match your eyeliner to your eyeshadow, and complement your blush and lipstick color. Know what you like for your daytime look versus when you go out for the evening. For all your make-up needs, you're in the right place.